Over the past few years many pilots have asked GIN for an ultra-light mountain glider. The YETI is now ready! During the past few seasons Gin has been working towards developing lighter weight designs for all models in the GIN range. The R&D Team have helped with the development, with GIN Team pilots Will Gadd and Stefan Bocks involved in the preparation for the 2007 big event : Red Bull X-Alps. With the experience gained and a strong nostalgic memory of the lightweight bags carried in the early days of paragliging, the R&D team developed a wing weighing less than 4 kg for their own private use and for a few GIN Team pilots climbing mountains. Refining and perfecting, concentrating on small details, searching for new materials. Developing new assembly techniques for the lines, panels, reinforcements and risers. Testing the strength of each material, each assembly. Making hundreds of flight tests and thousand of load tests, in brief a real work of art to obtain a 3.7kg (XS size) toy. The Yeti is made by hand, with each unit assembled by one person, and requires many hours in manufacturing. The Yeti is built using a totally new light fabric from PORCHER, with an environmentally friendly coating (9017 E68A). Risers are constructed from dyneema webbing made by the famous sailing supplier BAINBRIDGE. All other materials used in the construction; tapes, reinforcements and connectors etc. are chosen to achieve the highest performance to weight ratio possible. The YETI is a very lightweight version of the Bolero Plus. Hence the safety and in flight bahaviour are like a DHV1 glider, with a bit more speed and more dynamic handling than the Bolero Plus. In brief, a really enjoyable glider to fly : The Bolero Plus has already gained an excellent reputation one of the best gliders in its category. The Bolero Plus has a very easy take-off : it does not overfly and puts the pilot in charge immediatly. The Yeti retains these characteristics, but its ultra-light weight makes inflation even better ! To enable take off from steep slopes or snow, attachement points have been added to the top surface to fix the glider to the ground. The Gin Gliders Yeti paraglider is certified DHV 1 in XS, Small, Medium & Large sizes. 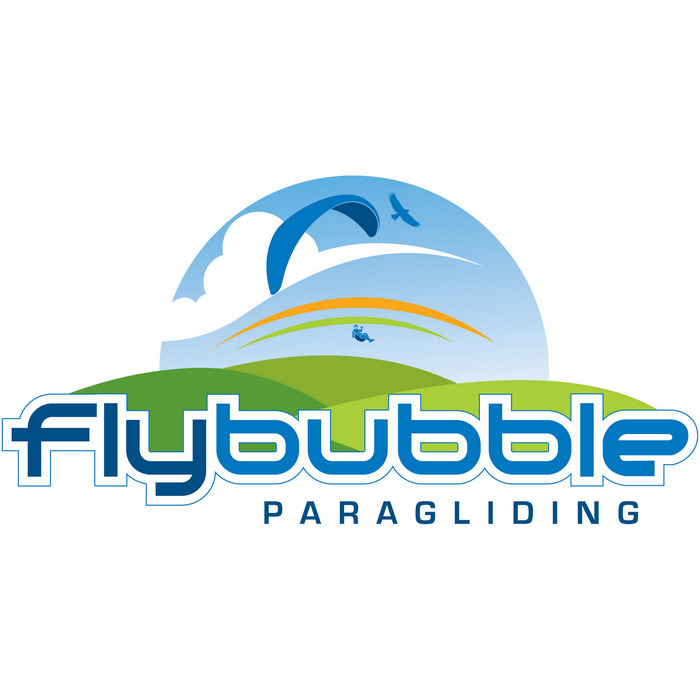 The Gin Gliders Yeti paraglider is certified DHV 1-2 Bi-Place in Tandem 38 size. Here below are the options available for Gin Gliders Yeti. It is possible to have your Gin Glider made with Custom Colours, however there is an additional charge of £250 for this and a 4-6 week wait for delivery. Colours can only be chosen from the colours available for the material the glider is made from. The colour layout has to be based on the gliders standard design (pattern). The glider will normally have to wait for a scheduled delivery to be sent, unless you want it to be sent by courier as soon as it's ready for an additional cost of £50 (this could save up to 2 weeks). Supplied complete with Yeti harness/rucksack.